Have a gift officer leave? Need to get a new gift officer off to a fast start? RNL Major Giving Coverage and RNL Planned Giving Coverage ensure you don’t miss a step by providing 100% coverage of assigned prospects, plus new prospect qualification to help new gift officers hit the ground running. As part of RNL’s Major and Planned Giving solutions, these innovative products provide advanced qualification, donor warming, and automatic scheduling to make sure you can cover your prospect pool—and uncover the best prospects—even during changes in gift officer staffing. 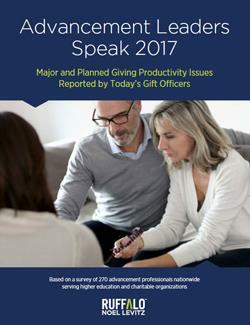 Identify and connect with the best major gift and planned giving prospects, so you can build a deep pool of top-rated major and planned giving donors who have the wealth and affinity that produce more major gifts.